Cathy Hahn fell in love with the North Shore on her honeymoon and it had been her dream ever since to one day live on the North Shore. After vacationing in the area for almost 20 years and raising her two children, Cathys dream became a reality when she and her husband relocated to Lutsen in 2015. Cathy started her real estate career in 2006 with a strong background in legal administration. She experienced a robust and rapid growth in the housing industry in Fargo, ND/Moorhead, MN. Yearning for a more relaxed lifestyle she found her true North when she finally made the transition to the Lutsen area. 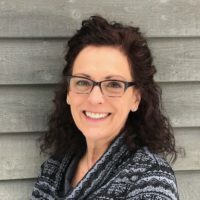 Cathy is also very active at the Mountain Shop at Lutsen Mountains, but if you are serious about making a move to the area, Cathy can help you live the dream. Cathy enjoys the outdoors by hiking, downhill skiing, snowshoeing, snowmobiling, or just sitting on a rock by the big lake. Take time to be still, it brings peace.